“Don’t Be Fooled: Blue Apron Is Still in Trouble” was only one of several dark headlines about the meal-delivery standard bearer that has struggled since going public in 2017. Back then, when meal kits seemed like the beginning of a major shift in the way Americans eat, its shares were priced at $10. A year and a half later, APRN is trading at approximately $1.40, with several financial outlets questioning the impact of the company’s turnaround plans. The Motley Fool outlined its three top concerns, and they weren’t kind to Blue Apron or its investors. First, “it simply sells overpriced boxes of curated groceries with recipes—a business model which can easily be replicated by smaller or larger competitors.” Secondly, it lacks the scale of larger competitors like Amazon’s Whole Foods or Kroger, and lastly that Blue Apron kits “target customers who are too busy to shop for ingredients to cook, but those same customers could simply buy prepared meals at Costco.” Oof. 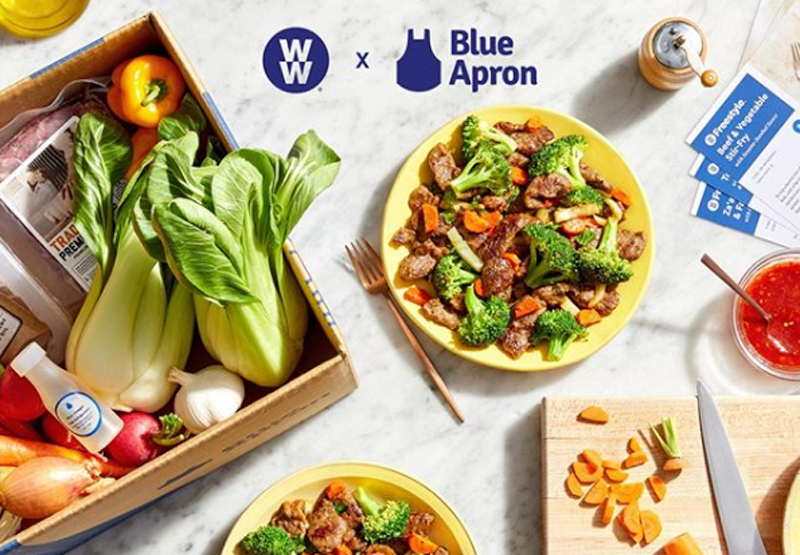 Blue Apron will release its fourth-quarter results on January 31, and you can bet I won’t be the only reporter watching those numbers with a skeptical eye as its partnerships with Walmart and Weight Watchers are increasingly promoted.